KNOXVILLE—Amphibian declines and extinctions around the world have been linked to an emerging fungal disease called chytridiomycosis, but new research from the National Institute for Mathematical and Biological Synthesis (NIMBioS) shows that another pathogen, ranavirus, may also contribute. 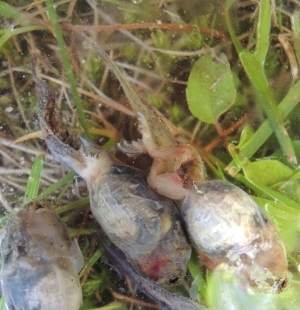 Extinction was most likely to occur when the tadpole or metamorph was exposed to ranavirus at frequent intervals in small populations. Under the worst-case scenario, extinction could occur in as quickly as five years with exposure every year and 25–44 years with exposure every two years. 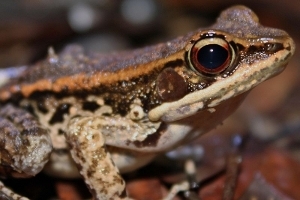 "Just as the chytrid fungus has decimated frog populations, the results of our study suggest that ranavirus infection too could contribute to extinction of amphibian populations that are demographically isolated," said lead author and NIMBioS postdoctoral fellow Julia Earl.